Stamping Lane: My New Adventure! Happy Thursday everyone! It's finally here, the day I share my awesome, incredible, wonderful and fabulous news with you! Can you tell, I'm just a wee bit excited?!? 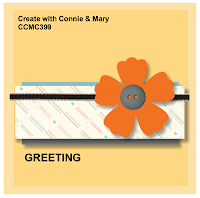 I have been invited to become a member of the Create with Connie & Mary Challenge Design Team!! WOO HOO!! On Cloud 9 here!! What does that mean? Every Thursday I will be posting a project that goes with that week's challenge posted over at the Create with Connie and Mary site, whether it be a color or sketch challenge in the hopes that it can inspire you in your own stamping. I am looking forward to this new adventure with this talented group of stampers! With Easter only a few days away and Sale-A-Bration coming to an end soon, I knew I had to use my little chick from the Honeycomb Happiness Sale-A-Bration stamp set one more time with this sketch challenge. I can't get enough of this sweet little guy. This time he's hatching out of his egg. In other words, our Wide Oval Punch punch makes the perfect egg! Paper Snips worked great giving it the cracked edge all the way across. Happen to notice anything in the background? Perhaps something subtle. I die cut two of the roses with leaves from the Rose Garden Thinlets in Whisper White card stock and adhered pieces of them onto another piece of Whisper White card stock to give it some visual interest. Thanks for stopping by today and embarking upon this new journey with me! Make sure you check out the rest of the design team's cards for this great sketch challenge. There's oodles of talent to share with you! Make sure you play along too! I would love to see what this sketch inspires you to create. Happy Stamping! SO darling! Love the little chick in the cracked shell and the tone-on-tone Rose Wonder flower and leaves is a great background touch! 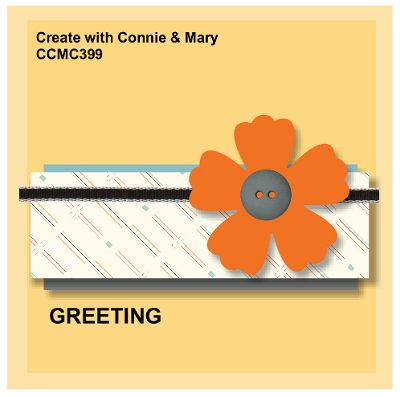 WELCOME to Create with Connie and Mary Thursday Challenge Team, we're excited to have you with us! 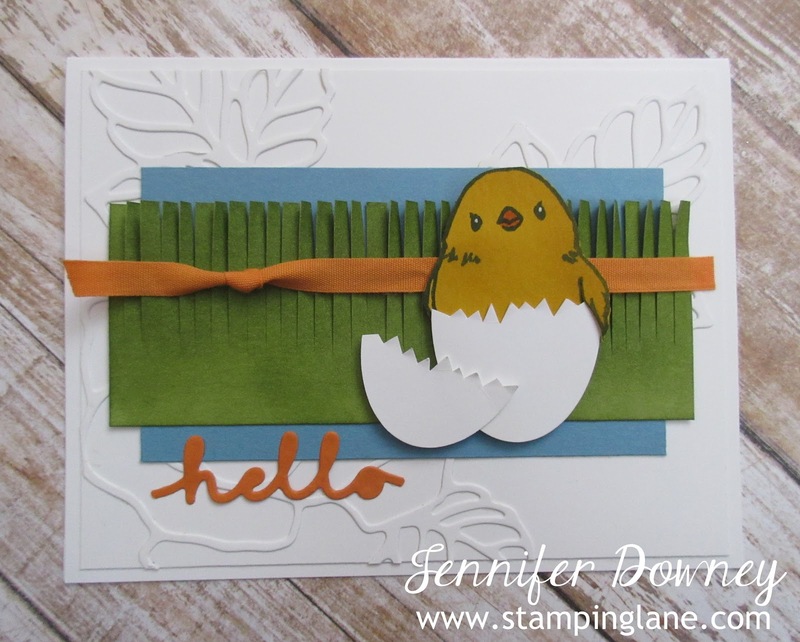 Love the little hatching chick amongst the fringed grass - a fun Spring card Jennifer! Welcome to the team!! Yay! Welcome to the team Jennifer! You've knocked my socks off for your first challenge with us. This little chick is adorable in the cracked egg and the grass was a clever way to use the horizontal elements of the sketch! So fun! That's wonderful Jennifer! Congratulations and great card too! Oh Wow! Congrats Jennifer! So proud! Can't wait to see your creations! Love this little guy! So many great ideas on your card. I really like the Rose Garden thinlits in the background. I look forward to being on the team with you! Welcome Jennifer! What a darling card for your debut! You have included so much great detail and texture - very sweet card! 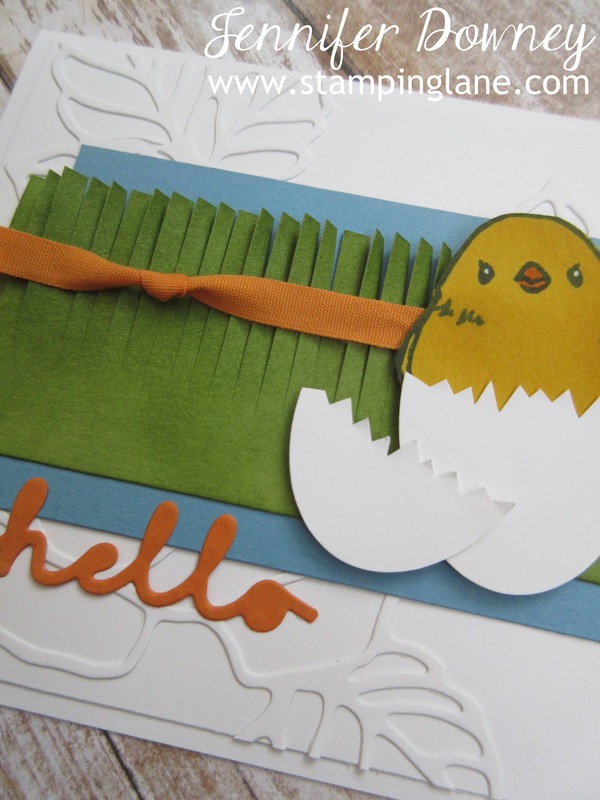 Super cute chick card! Love the cracked egg and easter grass! Welcome to the Design Team!